Golf Season Officially Kicked Off! 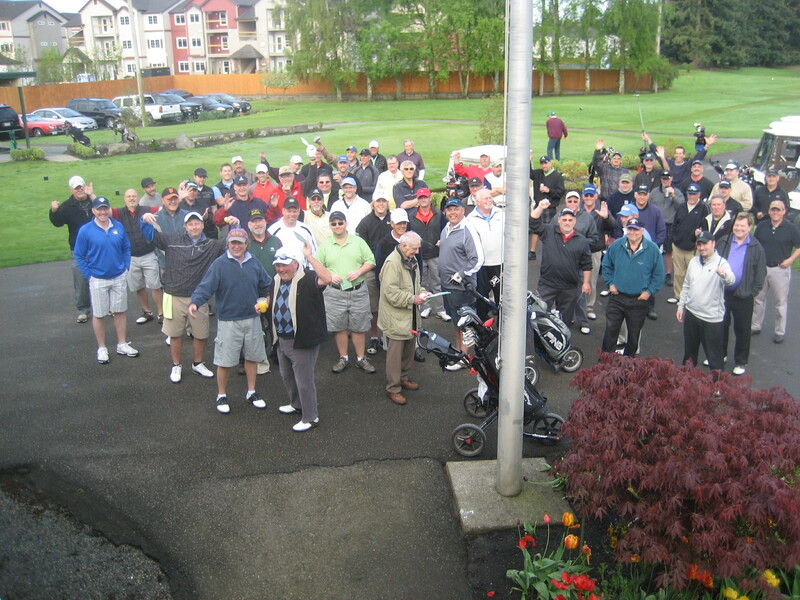 We had a great turnout and great weather for the Men’s 2012 Kick-Off held on Saturday, April 28. 71 players showed up for battle at the first official tournament of the year. It was an exciting event, with Gary High carding an ace on hole # 11 to boost his team to 4th Net. Nice shot and thanks for the drinks, Gary!!! The Overall Gross title went to the powerhouse team (and defending champs, to boot) of John Mahler, Dave McMasters, Jordan Pease, Brian Pease, and Loren Pease. They shot an impressive score of 15-under par 57. The Overall Net title was won by the Fab Five team of Keith Muhich, Dan Murphy, Phil DeGoede, Tom Wooding, and Jeff Kushmaul. These boys combined their forces to shoot the winning net score of 53.55 and bragging rights for the year.